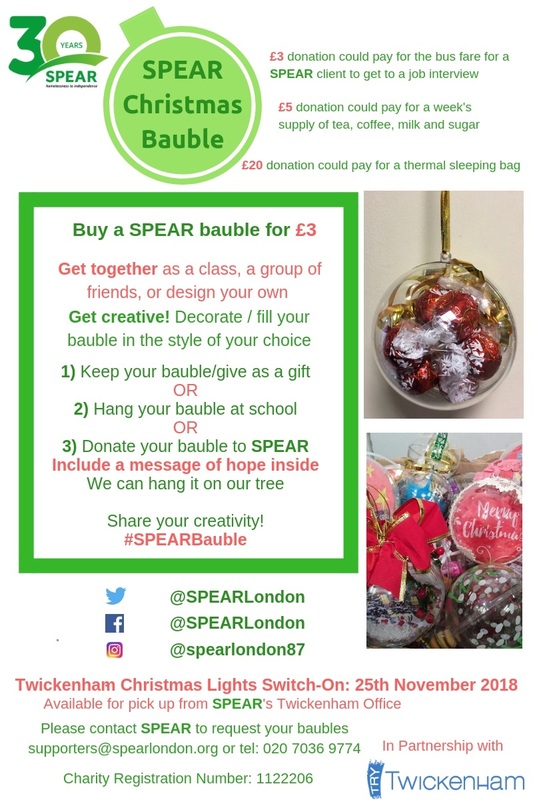 Last year so many of our supporters had so much fun showing their creativity we’re bringing the #SPEARBauble back – it’s so easy to do either as an individual or as a group! 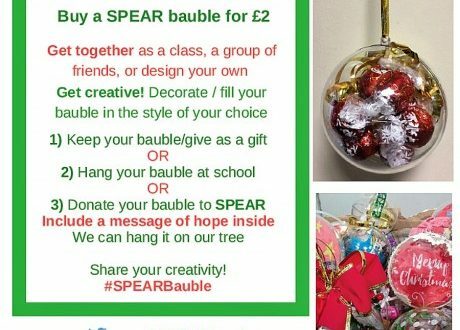 Whether your bauble is for your home, work, school or church tree please share your wonderful creations on social media with the hashtag. Alternatively we would love to display your art on the trees at our drop in and hostels. 1. 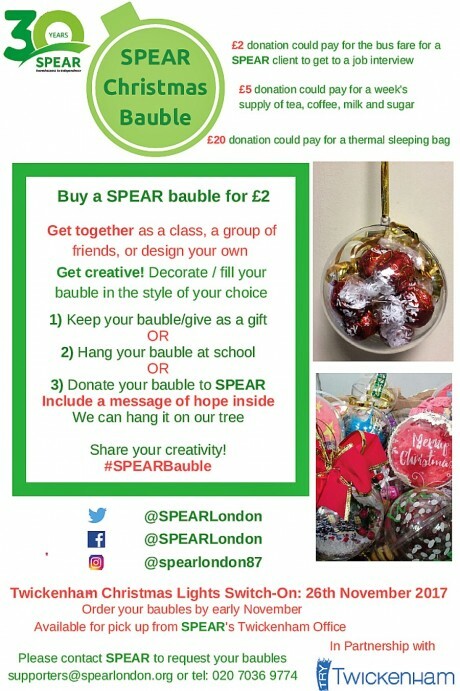 Pop in to see us at SPEAR, 89 Heath Road, Twickenham, TW1AW and make your donation and collect your bauble to take home, decorate and display on your Christmas tree at home. It’s also the perfect personalised gift for a friend or you could give back to one of our SPEAR Hostels with a message of home. 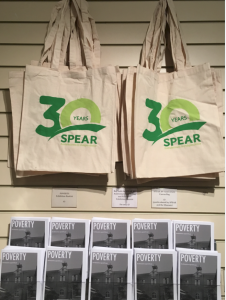 Drop us an email at: supporters@spearlondon.org. 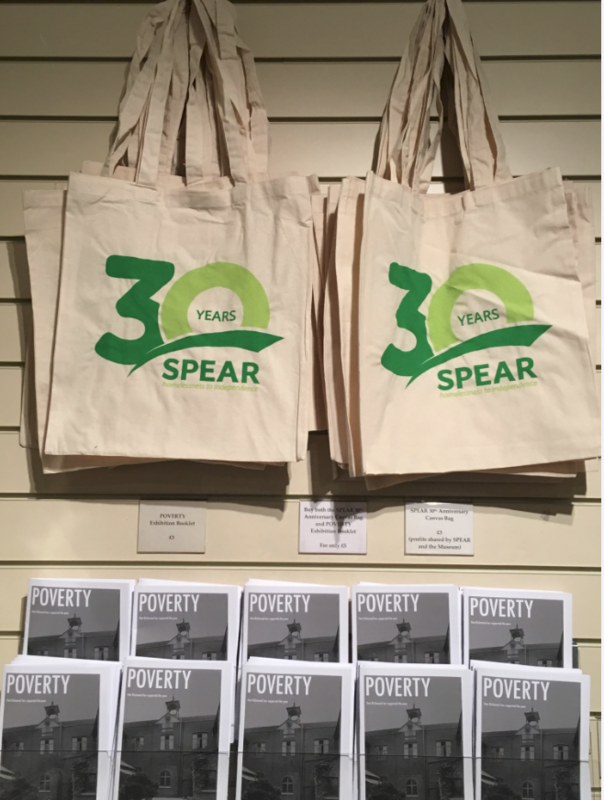 SPEAR are celebrating the legacy of the 30th event by selling these tote bags. These bags help to mark the event and supports 30 years of transforming lives. These can be purchased from the Twickenham drop in at 89 Heath Road, Twickenham, TW14AW.